Last night, under the Sahara Tent at Coachella Valley Music and Arts Festival, Jauz debuted the remix fans have been waiting months to hear. For the first time since teasing its existence in November, Jauz (real name Sam Vogel) played his remix of the children's song "Baby Shark" by Pinkfong. After hyping up the crowd with the original melody and lyrics, Jauz cut into some deep house and lent his spin on the song that's been stuck in our collective heads for months. Once he finished his remix, he used some of the lyrics to introduce one of the world's other biggest meme songs, "Sandstorm" by Darude. Back in November, he challenged fans to retweet his tweet 20,000 times in exchange for a remix of the children's song-turned international internet sensation. As one might imagine, the tweet surpassed 20,000 retweets quickly, which lead to last week's announcement of the track and yesterday's performance. In addition to the remix, Jauz recently released his collaboration with SUMR CAMP, "Dance Floor," and is celebrating Beatport's recognition of bass house, the genre he helped bring to the mainstream. In a short amount of time, Kendoll already released a plethora of excellent music with popular dance labels such as Steve Aoki’s Dim Mak, Dr. Fresch’s Prescription Records, Psycho Disco!, and Audiophile XXL - and lets not forget that she just released her best work yet with the incredible EP Playhouse that dropped today with AC Slater’s Night Bass. Coachella is by no means the first festival mired by such difficulties. In the past several months alone, both EDC Orlando and Ultra Music Festival had fires break out onsite. What sets last night's blaze apart, however, is that it did not result from a pyrotechnical malfunction; some speculate that a propane tank exploded. Labrinth, Sia and Diplo just released their debut, full length effort since joining together as a group, the self-titled Labrinth, Sia & Diplo Present… LSD. The ten-track project features nine original singles with no features, and rapper Lil Wayne's remix of "Genius," the group's debut single. The three superstars joined forces in 2018, captivating fans with their newfound, over-the-top image and colorful music. Diplo's diverse and unique production skills in unity with Sia's and Labrinth's singing and writing credibility, make up for three stars who are dominating their respective worlds, and can have really good chemistry when put together. Galantis have just shared their take on Kygo's collaborative hit with Valerie Broussard, "Think About You." The original single was released back in February on Valentine's Day, along with a beautiful music video, and marked Kygo's first release of 2019. "Think About You" already had an uplifting vibe with bright production by Kygo (real name Kyrre Gørvell-Dahll) with the help of Valerie Broussard's amazing vocals. Galantis still managed to take the single to a new level, turning it into a festival anthem with their additions to the production. Kygo has oftentimes proven his ability as a hitmaker over the past years. Considered the forerunner of tropical house, the Norwegian producer and songwriter's talent allowed him to go from uploading unofficial remixes on SoundCloud to being one of the biggest electronic-pop crossover acts in the world in just a few years. He has worked with artists such as Ellie Goulding, Selena Gomez, Imagine Dragons, Miguel and more. 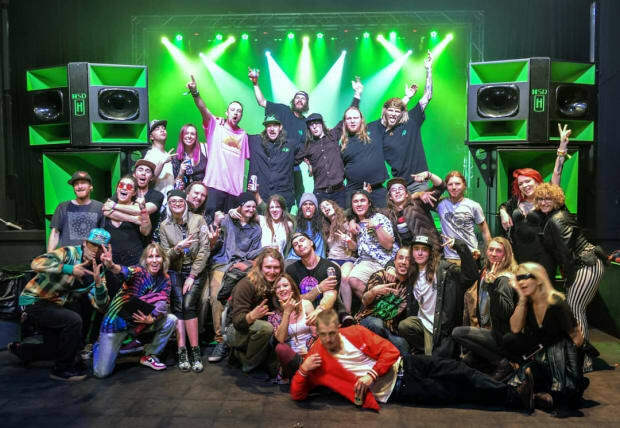 LSDREAM’s newest project has garnered him unparalleled attention amongst Wakaan's loyal following and those on the festival circuit, aided by his 2018 VOYAGER LP and role providing direct support on Liquid Stranger’s INFINITY tour. On Renegades, Damient unveils himself as a producer-of-all-trades by delivering an innovative breathe of fresh air for the mid tempo electronic genre. 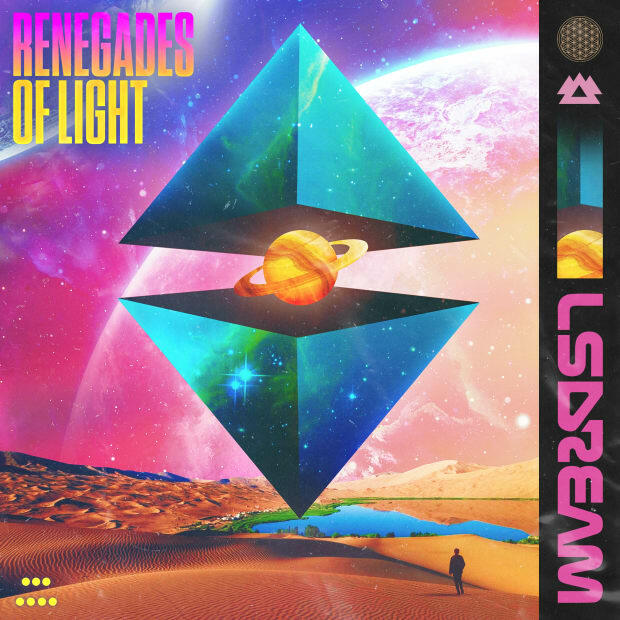 With its '80s retro synths that give in to grimy bass or aerial instrumentals, Renegades of Light feels like an interstellar, tripped-out ride atop a Tron Light Cycle. The song's call to delve into the inner darkness speaks to Damient's belief that one must embrace the dark side to fully explore the more positive aspects of one's being. This latest project echoes Damient's deeply spiritual beliefs and focus on the self, and is best explored at the album's purely instrumental tracks. The Champagne Drip collab “Eternal Now” is perhaps the greatest example of this. The slow-moving, trippy opener chimes in like a psychedelic children's mobile, hypnotizing the listener into a trance. This soundscape lends to Damient's intention to transport the audience to a wondrous, cosmic journey of self-discovery. The track builds to perhaps the finest moment on the album, where chopped vocal samples cry out in a euphoric release of sound and emotion. Sam Damient music has always exuded originality, but with this LSDREAM project he's found a music persona that echoes his beliefs and moves audiences unlike ever before. 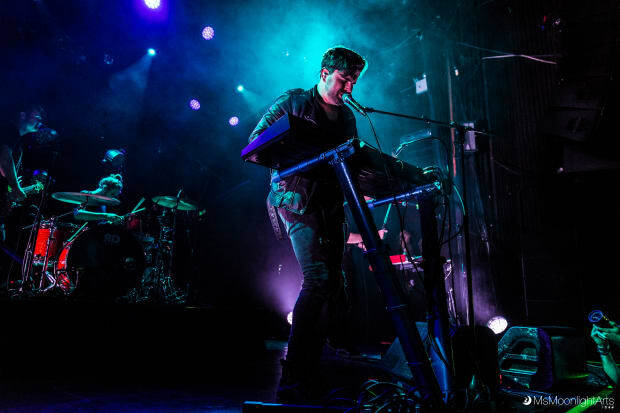 Electronic artist and producer Gryffin (real name Dan Griffith) has announced a headlining show at The Brooklyn Mirage on August 16th. Dubbed Gravity II Live, hinting at the show's direct relationship to an upcoming new album, the performance will be a one-of-a-kind live show promising to take the original Gravity set to "the next level," according to an Instagram post. Presented by Avant Gardner and The Bowery, tickets for the concert went on sale April 5th. Its poster design matches the artwork for "All You Need to Know," a collaboration with SLANDER and with vocals from Calle Lehmann that was released March 27th. The selected outdoor venue is iconic in New York's electronic scene, boasting a summer schedule including Kaskade, Malaa and Rezz. Griffith jumped into the scene with remixes of Top 40 tracks before releasing "Feel Good" in 2017 with Illenium and Daya, moving him into the spotlight. The New York-based musician's worldly, bass-heavy sound uplifts and excites, earning him a devoted following of millions. Gravity Pt. 1, his debut album, came out in December of 2018. Part II is to come, according to the artist's socials. 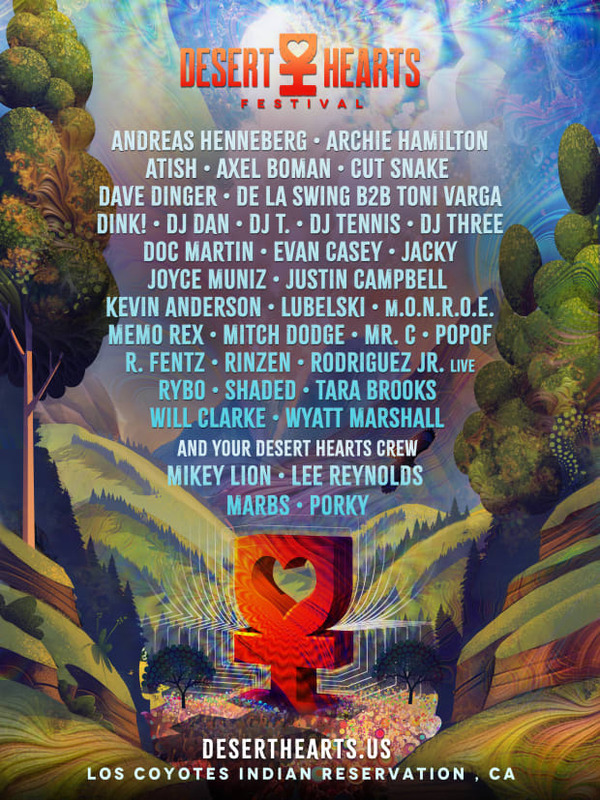 One Vibration Music Festival has announced the 2019 music lineup for the 3rd edition of their event. It will be held May 17th and 18th and nestled in the heart of the Rockies - Durango, Colorado. This third year festival at the historic Talking Rocks campground is two days and nights of camping, music, performance and art - but above all, this event is a spiritual experience in bass music. The monster lineup of bass-slaying tastemakers include dynamos like AU5, Axel Thesleff, Buku, Dirtwire, Zeke Beats and a hotly anticipated Slug Wife Takeover - plus about 50 other bass acts. In fact, One Vibration will have the largest Hennessy Sound Design system ever assembled. 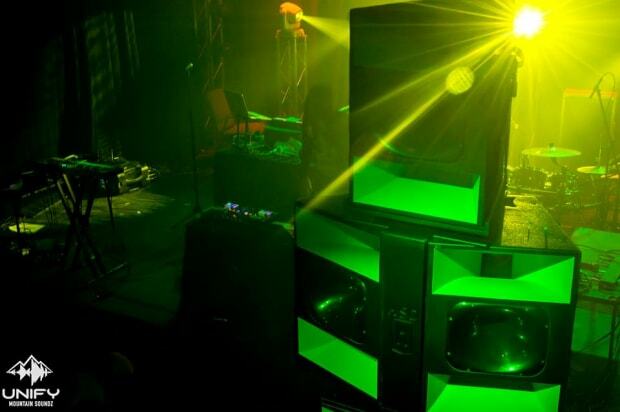 Additionally, the event's organizers teaming up with Mega Vision to provide one-of-a-kind stages and lighting with new applications of LED paneling, lasers, projection-mapping, and hand-built stage designs. With this attention to quality sound and the listening experience, One Vibration sets the stage to become Colorado's premiere audiophile event. Not to be idly dismissed as some hippie-dippie mission statement, they are literally starting The Church of Bass. Opening and closing services will include "test tone communions" featuring a sweep from highs to lows and holding at the max SPL allowed by local ordinance. This, again, will be on the world’s large Hennessy Sound Design System. In one unified frequency, the sound, the mountains and attendees will literally be shook on ‘One Vibration’. Morgan Page is deeply interested in the granular science of music production. The multi-genre producer's insatiable curiosity for the technical aspects of music creation has undoubtedly served him well in his career, not only earning him a multitude of memorable releases within dance music, but also furthering his image in a mainstream capacity. Recently, the "Gone My Way" producer has been on a momentous tear earning remix opportunities for Clean Bandit, Ava Max, Alesia Cara, and more. Fundamentally, Page has never been one to stay complacent in his sound. Instead, he's found inspiration in absorbing new technical knowledge within the world of digital music creation. Page was inspired to aggregate and document his knowledge, and now shares his findings publicly on MP Quick Tips (mpquicktips.com). We spoke to Morgan Page about his new music and the evolution of MP Quick Tips at the National Hotel in Miami ahead of his Armada Invites performance. EDM: Earlier this month you released your new single, “Gone My Way.” What was your inspiration for the track? Morgan Page: It’s funny, my co-producer PEX L said, “I’m working on starting something,” and he doesn’t speak a lot of English but he sent me this vocal sample out of nowhere and it inspired all these chords and styles. A little bit of dance music, future house, wobble, and its progressive house - so I merged all of these elements into one sound. The breakdown is a little more progressive, the drop is electro. I’m just trying new stuff and trying to mesh new genres in different ways. Similarly, you’ve had a couple very big remixes as of late, one for Ava Max, and one for Clean Bandit. Do you have any other big remixes coming up that you could tell us about? The most recent was for Alessia Cara. It’s almost in the Alan Walker vein of really massive breakdowns with a vocal and an arpeggio. It’s almost like an EDM ballad. The original is a ballad, it’s like a waltz in 3/4 time and I was trying to figure out why it wasn’t looping properly so I turned it into this really cool, emotional progressive house triplet track. You’ve remixed so many different tracks across all different types of genres. What songs lend themselves best to being remixed in your opinion? It’s always about a strong, distinctive vocal and I’ll always re-voice the chords around that. I’ll recompile the chord voicing and try to figure out how to lift some new emotion out of it. If it’s something I’m going to remix, I have to feel confident that I can take it some place new add my stamp on it, but still serve the original. I usually will delete everything except for the original stem vocal and keep one other instrument in there. With the Clean Bandit remix, I left some of the original elements in there. You can be selective picking and choosing what you want to keep, but the vocal is really what drives everything. It’d be very hard to remix an instrumental track, I know some guys do it, but it’s tough for me personally. You’ve also launched your own site, MP Quick Tips (mpquicktips.com), was hoping you could tell us a little more about the goals for the site and what made you want to start this endeavor. At first it started from a selfish reason of wanting to compile all this knowledge as to what was working in the studio so I wouldn’t forget it. I started with that, and then a friend of mine who is doing artist relations for Pioneer DJ said “You’re so knowledgeable about this side of music production, why don’t you share it with the world?” and suggested I do bite-sized tips. It got me thinking, since I tweet tips from my official account, maybe I could make a dedicated account where I have this information summed up in 140 characters, and now you have more characters to work with on Twitter, but that led to a deeper-diving blog. There are almost 800 quick tips now so I’ve done it for six years, and it’s been this drip-by-drip process of building this knowledge base. What’s the most important MP Quick Tip you’ve put together to date? I think the "Rule of 3” is a big one, and one I still struggle with too. It’s one thing to come up with the tips and another to keep them in practice, it still takes work. The tips are kind of like the grease that moves the wheels but you still have to do the hard work. The “Rule of 3” is about how your brain can only really hear three distinct phrases at once. You can rotate it like an FM dial and switch from one lead to another, but things have to take turns in order for them to all hit and be effective. Otherwise, sounds start to mask each other. If I have a lead vocal, chord, and arpeggio, that’s a lot going on already. If I want to bring in another element something will have to be switched out. The legendary mixer Jack Joseph Puig taught me about that concept. I think it’s really interesting that your brain can only juggle so much information at once. What’s been your qualitative process for deciding what tips to include? I keep a Google Sheets shortcut on my phone and add a cell every time I have a new idea. I’ll expand those ideas into blog posts which you can find on mpquicktips.com. We’re actually going to be having a physical product of quick tips coming soon with this company called OWC. It’s a little early but we’re going to have physical cards with the tips and illustrations that will be included in the packaging. For example, if someone buys a thunderbolt drive from OWC they’ll get a starter pack of the tips. To have something tactile and offline I think is really nice. You can earmark them and select 3-4 cards you want to focus on in the studio that day. Ideally, you should have your phone outside the studio. It’s funny because I’ll work with singers who bring the lyrics into the studio on their phone and, in a perfect world, you want to have those distractions outside the studio. They can be great; it’s just about knowing how to manage your time. The most productive days for me are when I just leave my phone on another floor, so that’s one tip, too. Lots of new singles. Things have been going great with Armada and they’ve done a great job. They’re the biggest independent dance label in the world, and have just been killing it for me so I think really catering to that core Morgan Page fan while still crossing into new markets is what I’d like to do. Now is the time where I want to make that new version of progressive house or big room where it’s satisfying and not just all aggressive. It still has energy but has the feels, too. I think that’s something that’s missing a little bit from festivals where it’s all bass or all trance, or whatever. I like exploring new ranges and territories. Avicii's first posthumous single "S.O.S." arrived this week, and his collaborator on the record, Aloe Blacc, says they were working on many more songs together. While it remains to be seen whether any of their remaining collaborative works will be heard on Avicii's full forthcoming album Tim, Aloe Blacc says their unreleased material has the potential to be bigger than "Wake Me Up." It's hard to believe "Wake Me Up" arrived as the lead single from Avicii's debut album True way back in 2013. The blend of country influences and dance music made the song an international hit and marked a breakthrough for its time. Now, nearly a year after his passing in 2018, Avicii continues to leave a prolific impact on dance music. Listen to Aloe Blacc's comments on Avicii and his legacy, and stay tuned for more music from Avicii soon to come. Avicii's posthumous album Tim arrives June 6th, 2019. With their third collaboration, "La Résistance De L’Amour" out now, listen to Armin van Buuren and Shapov's full Trilogy EP here. Mexican Producer Broz Rodriguez Joins Forces with Artdob on Catchy New Single "G.A.M.F." Cited by Forbes as one of the most creative Mexicans in the world, Broz Rodriguez lays down a clever hip-hop & dance hybrid with new single "G.A.M.F." Born in Jalisco, Mexico, Broz Rodriguez (Broz Rdz) is a DJ, producer, remixer, A&R, experience creator, and of course, a live entertainer. Growing up with an immense passion for music and the loving support of his parents, Rodriguez was able to explore his talent and begin developing his DJ and production skills early in life. His funky, groovy, and explosive DJ style moves crowds from all around the world, and his original music has garnered him the support of labels such as Mad Decent, Aftercluv (Universal Music), Warner Music, Armada Music, and Panda Funk, as well as his very own label, XDM Records. 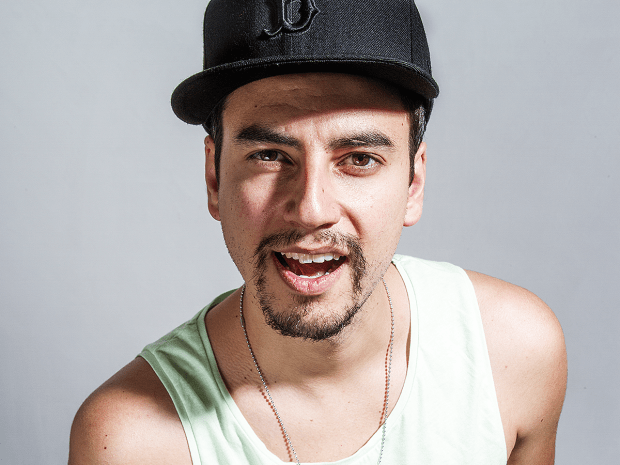 Rodriguez also received the prestigious award for “Best EDM DJ of 2014” in Mexico, and even produced a track with Nick Hogan, the son of Hollywood’s superstar wrestler Hulk Hogan. Most recently, Rodriguez was named one of the most creative Mexicans in the world by Forbes Magazine. Now, Broz Rodriguez is back in action alongside singer/songwriter Artdob with the hot new hybrid single "G.A.M.F.," a groovy original track that showcases a unique blend of '90s hip-hop vibes mixed with upbeat, bouncy dance elements. Out now on XDM Records, "G.A.M.F." talks about the type of people (freeloaders & gold diggers) that try to take advantage of whatever your fortune may be, but in a fresh, funny, and sarcastic way. Stream or Download "G.A.M.F." today! XDM Records is "a 100% Mexican record label with a clear vision of delivering entertainment and sharing quality music with very unique sounds to listeners around the world." XDM was founded by the MDX team in collaboration with the music master and hit maker Toy Selectah. XDM is focused on mainstream dance and pop records, and specializes in the creative use of folkloric Latin American elements. Oliver Heldens' new single is a sure sign summer is just around the corner. Teaming up with legendary songwriter, producer, and composer Nile Rodgers and Brooklyn rocker Devin, their single "Summer Lover" comes as a groovy future house original. In late 2018, Heldens remixed Nile Rodgers' "Le Freak," a song Rodgers had written with his band and released in 1978. The original is preserved in the National Recording Registry by the Library of Congress, which has deemed the track culturally significant for its time. Shortly after Heldens outfitted "Le Freak" with a modern new production, we now also have an original collaboration on our hands between the two artists. "Summer Lover" features the sounds of Rodgers' unmistakable bright, soulful guitar. On the low end Heldens incorporates a deep, rhythmic bassline formulating a captivating sultry groove. Lately, Heldens has been on a disco kick. The Dutch producer's previous release "This Groove" channeled similar influences, and we're looking forward to hearing more music from him along this creative frequency. Today, Figure has unveiled the next chapter in his haunting musical legacy, The Destroyer EP. A four-track offering of abject sonic horror, The Destroyer gives fans everything they've come to love from the monster of bass, and oh so much more. Check out the 4K 360° video below where Figure debuts two songs from The Destroyer (don't forget to pan around to the crowd). The title track of the EP is suggestive of the signature Figure sound - frenetic, filthy, and violent. Mixed in with the unrelenting onslaught, an ominous melody reminiscent of the now iconic pads from Netflix's Stranger Things has already caught the attention of his fans. The first single released from the EP, "EMP Charge," can only be explained through an understanding of the meaning of the term. An EMP, or electromagnetic pulse, is a short burst of electromagnetic energy that, if severe enough, could cripple or destroy everything reliant on any form of electronics. In other words, Figure's "EMP Charge" is a weaponized shock wave designed to utterly disable and destroy anything or anyone in his way. The second single off The Destroyer, aptly titled "Exterminate," is a throw-back collaboration with Figure's friend and colleague, Whiskey Pete. Longtime fans will remember their 2011 collaboration "Cut Throat." "Exterminate" harnesses the same wild and raucous energy present in their first collaboration, but in the wise words of Nigel Tufnel from This Is Spinal Tap, "this one goes up to 11!" If you identify as a bass music lover, there is absolutely no excuse not to dive straight into Figure's The Destroyer EP. Go ahead and stream or download the music today. Los Angeles-based artist, producer and songwriter Mako (real name Alex Seaver) just released a gorgeous, indie-infused single titled “Coyote” on Ultra Music. The delightfully textured song tells a soulful, somber story in which Seaver showcases his musical prowess through with a complex, guitar-driven melody and rich, passionate bass lines. Released alongside a fantastic animated video, “Coyote” is a hauntingly beautiful track that is deceptively intricate and yet elegantly simple. Layered with dissonant guitars, Seaver’s digitally warped vocals, and an array of organic electronic elements and eclectic drum patterns, “Coyote” blends driving yet minimalistic rhythms, orchestral instrumentation, and unique arrangements and time signatures that are nearly unheard of in dance and pop-based music. At times, the muted bass of "Coyote" borders on IDM; the synths flirt with experimental electronica, and the ethereal keyboards edge toward ambient, atmospheric territory. The result is a deeply immersive soundscape that is both dark, chaotic, stunning, and ultimately, impossible to categorize. “Coyote” offers fans an exciting first glimpse into Mako’s new creative direction, which Seaver plans to traverse more fully in his forthcoming album, scheduled for release in the fall of 2019 via Ultra Music. As the lead single off the album, “Coyote” represents an exploration in pure creative freedom for Mako. Stream or Download "Coyote" today. Fans of GTA and Valentino Khan undoubtedly remember the savage stylings of their 2015 collaboration, "Break Your Neck." The two artists couldn't simply let the concept fade into distant memory. They've fitted it with updated sounds for "Break Your Neck (Pt. 2 VIP)," and EDM.com is proud to premiere their variation in production on the day of its release. The metallic bass wobbles of the source material have been swapped with bigger, better ones in "Break Your Neck (Pt. 2 VIP). "/ That's not all, though. One of the drops turns the track on its head by introducing a raucous jungle terror rhythm sure to elicit a huge response from any audience. Valentino Khan is no stranger to switching things up when collaborating with other artists. In January, he and Kayzo delivered a single titled "Novocaine" that saw him dip his toes into the high-octane world of hardstyle. "Break Your Neck (Pt. 2 VIP)" is one of 15 songs comprising the tracklist of Big Beat Ignition: Los Angeles, which is due out today via Big Beat Records. Other artists featured on the compilation are Ekali, Salvatore Ganacci, Bro Safari and Dillon Nathaniel. Stream or download Valentino Khan and GTA's "Break Your Neck (Pt. 2 VIP)" along with the rest of Big Beat Ignition: Los Angeles across platforms here. After the resurgence of popular children's song "Baby Shark," Jauz fans were chomping at the bit to get the San Francisco-based artist to give the tune his own unique flip. Jauz (real name Sam Vogel) took this request seriously, and challenged fans to retweet him 10,000 times in order for him to do the remix. The tweet got to the 10K mark quicker than a shortfin mako (that's a really fast shark), and Vogel confirmed he'd be producing the remix. It now appears that the Baby Shark remix has been completed. Vogel said in a tweet that fans would be able to hear the debut of his remix at Coachella this year. After teasing the remix for months and assuring fans it was on the way, Vogel has confirmed that it's ready to go, and fans can hear the remix at the Sahara Stage at Coachella Valley Music and Arts Festival. For those who can't make it to the festival, fear not. The set will be live streamed, so everyone can "doo doo doo doo doo doo" right along from wherever they please. Jauz plays Coachella on April 12th and 19th. Attendees will also be delighted to see the pictured "Daddy Shark" billboard on the way into the festival grounds.